One Man and Van £35 per Hour, 2 Men and Van £50 per Hour all inclusive. Minimum one hour Service then charged to the half hour at half the hourly rate. and ends when job is finished at your Destination and Payment is Complete. So you only pay for time taken on your Move if your Destination is within a 10 mile radius of our base. Parking space is the responsibility of the Customer so please make sure we have somewhere Legal to park when loading and Unloading. We don’t charge job Cancellation Fees if you give us 48 hours notice prior to the job start time. Receive 48 hours notice a £50.00 cancellation fee will be charged. So please give us as much Notice as Possible. Premier Removals also offer a Full Removal and Packing Service with regular runs to most major Cities in the United Kingdom. Michael of Premier Removals has 18 years Experience in the Removal Industry and trains all his Staff to a very High Standard. 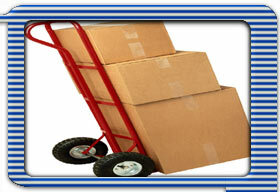 From Single Items to Full House or Office Relocations we are here to help.